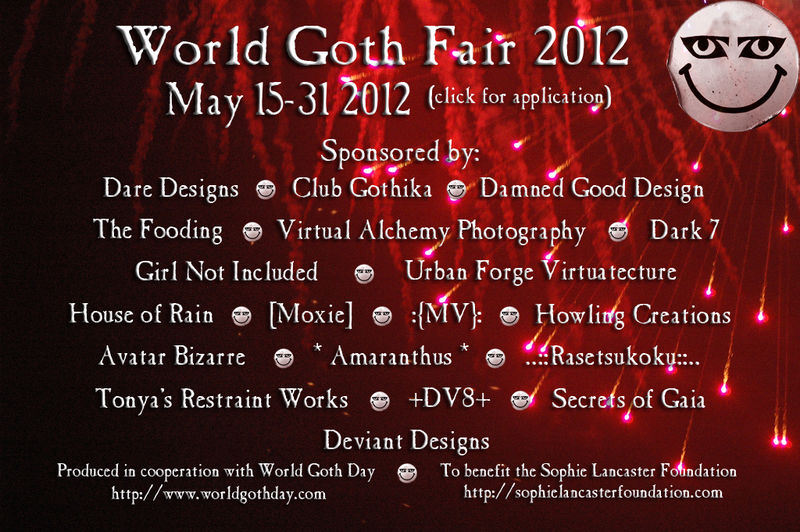 Here’s the updated list of stores participating in World Goth Fair, according to which sim their booth will be on. As we get closer to the fair, we can provide more detailed info as to booth locations. Stores listed in purple are sponsors. The SLurl next to each store name is a direct teleport to their booth. Enjoy. The Fooding* – The Fooding has a number of mini kiosks scattered throughout the fair. *The Fooding has concession stands on both sims.